Facebook and RED Digital Cinema announced a collaboration to build the world’s first end-to-end solution for 3D and 360 video capture. Today, we’re excited to reveal a first-look at the Manifoldcamera. 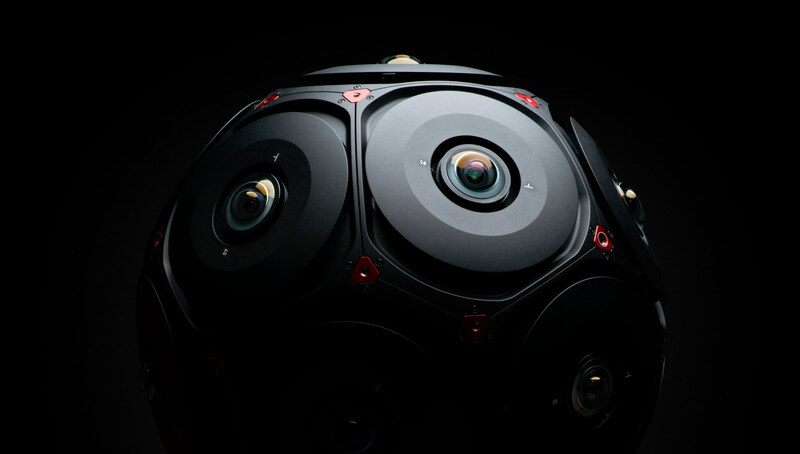 RED and Facebook worked closely to build this first studio-ready camera system for immersive 6DoF storytelling, aiming to connect creative professionals with audiences in a bold new way. We’ve made significant strides in realizing this new storytelling device—with plenty more work on the horizon—and today were excited to share the camera’s hardware design and tech specs as we continue on the road to commercial availability. Manifold is a single product that redefines immersive cinematography with an all-in-one capture and distribution framework, giving creative professionals complete ownership of their 3D video projects, from conception to curtain call. What this means for audiences is total narrative immersion in anything shot on the new camera system and viewed through 6DoF VR headsets. It’s nothing short of a paradigm shift in our ability to tell stories. Picture standing inside of a Hollywood blockbuster instead of simply watching. It’s a common scenario in science fiction—and for good reason—it sounds fantastical. Manifold will make this dreamlike concept a genuine reality, both for content creators and for their audiences. It took years of prototyping and tight collaboration, but results so far point to a revolutionary camera built for a single purpose: to deliver next-generation stories. Manifold captures multiple camera angles simultaneously from within a given volume, enabling infinite perspectives to be generated from any direction within a field of view. Using RED’s best-in-class camera sensor design and image processing pipeline, filmmakers get superior image quality when shooting their projects, from live and avant-garde performances to big-budget spectacles. Facebook’s industry-leading depth estimation technology captures 3D information from any scene—like characters, props, and everyday backgrounds—resulting in high-quality video bursting with enhanced volumetric detail and movement. A key component of the workflow with this camera is a familiar yet powerfully robust post-processing toolset from our partners at Adobe, Foundry, and OTOY. Together with the Manifold camera, it’s everything creators need to ship their projects and we’re optimizing for premium immersive output for Facebook and VR. Manifold is the first professional camera to fully capture a spherical set of images to accurately recreate entire scenes. The unique combination of camera arrangement and set-ready capabilities makes it an ideal capture tool for professional cinematographers. Manifold will help filmmakers and storytellers craft next-generation stories unlike anything else out there. Our work with RED thus far represents a giant leap forward for immersive cinema and we can’t wait to see what the future holds. Stay tuned for updates on our progress, including pricing, availability, and more.